Restaurants and corporate food product developers long have had a symbiotic relationship. Food processors often adapt restaurant innovations to the needs of retail, while chain restaurants and other foodservice accounts look to their food processing suppliers to supply on-trend new menu items. Besides new product development, R&D chefs also refine formulations, improve profitability, streamline foodservice operations and oversee food safety and quality control. Restaurants and foodservice is one of the three business units (retail, foodservice and home delivery) that make up Schwan Co. (www.schwans.com), Marshall, Minn. "Chefs have a very important role here. It begins with the Chef Collective being a resource and catalyst for culinary passion and innovation," says Michael Gunn, director of Schwan's culinary R&D department. The Chef Collective, first created in 2015, consists of 17 internal and external chefs from across the U.S. who incorporate trends and new flavors into great-tasting frozen food concepts. Gunn heads a team at Schwan's primary R&D center in Marshall that supports product development with trend research, gold standard creation, product formulation, recipe development and culinary education. "We share our knowledge with customers, supplementing what they already know, and try to alleviate their diverse set of pressures, including the rising cost of doing business, increased regulations and finding people to work in their operations." The chefs are engaged early on in the product development process, providing culinary perspectives during ideation, creating gold standards to benchmark concepts against and working with food scientists during formulation and scale-up, especially on flavor development. The fresh food experience is important, Gunn says, as more consumers shop the supermarket perimeter for healthy produce and seasonal, locally grown food items. The same holds for out-of-home diners. "Consumers increasingly equate fresh to quality and health. This is an opportunity and a challenge to foodservice operators. As operators utilize more 'fresh' ingredients, it can be more difficult to manage cost, consistency, quality and waste. So we offer solutions operators can pick and choose from that deliver fresh on their menus." An example is Schwan's 16-in., thin-crust raw foodservice pizza dough, which is preproofed and lightly topped with pizza sauce and cheese to provide convenience and allow operators to focus only on topping the pizza. "Cutting and topping it with fresh basil, peppers, onions and other ingredients communicates fresh, while our crust provides a base of quality and consistency that can help ensure the success of their pizza program," he says. Food processors can better serve restaurant and foodservice customers by listening to them and understanding their specific needs, he points out. "Once we understand, we can truly commit time and resources to develop solutions. Our Chef Collective recently spent time in the world of school foodservice operators, learning about nutritional regulations and guidelines, ingredient availability, equipment availability, cost and labor constraints, talking to students and the foodservice director. We then developed and refined recipes for several of our Minh Asian sauces that could be used to bring fun and flavorful new menu ideas to our nation’s schools." Finding commercially available ingredients at the right price is a challenge when delivering an authentic product, true to the gold standard, he says. "Ingredient availability can sometimes lag behind the trend and the resulting demand. We have a great sourcing team and network of vendors to overcome this hurdle. We enjoy continuously learning, staying abreast of trends and advances in ingredient and manufacturing technology. We research the trendy products retailers can use before presenting a new item or idea. The demand for cleaner, simpler ingredient statements has made us better product developers, making us think about things from a consumer's perspective." How do mid-America chefs and foodservice operators jump on a trend like regional Asian cuisine? 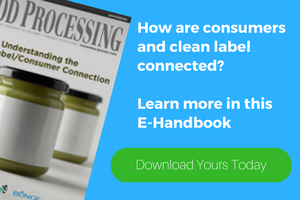 Get some help from your food processing partner. "Your patrons are craving Asian," says the marketing material at Schwan's Food Service. One of the business unit's answers is Minh appetizers -- egg rolls, spring rolls and potstickers – one of the developments from the Schwan Chef Collective. "In a Korean BBQ wonton recently developed, I helped the food scientist achieve the right balance of salty, umami and sweet that we created in the gold standard," explains Gunn. "I like ingredients that help deliver big flavor, like miso, mushroom powders, fish sauce and gochujang. These support the growing interest in global flavors. Heirloom grains also interest me; they offer a way to bring back the complexity of flavor in dough." Andrew Hunter is the corporate chef at Kikkoman Corp. USA (www.kikkomanusa.com), San Francisco, but is also a foodservice and industrial chef. An author and food writer, he develops custom and ready-to-use sauces for manufacturer partners, as well as menu concepts for a broad base of restaurants, colleges/universities and healthcare facilities. Before coming to Kikkoman, Hunter worked as chef de cuisine for Barbara Tropp's China Moon Café, was a vice president of culinary development for Wolfgang Puck Worldwide and managed the culinary operations for Darden Restaurants' 600-plus Olive Garden restaurants, among other accomplishments. He likes to see the worlds of flavor collide, and uses global flavors both on menus and in the retail space. Retail shoppers and restaurant goers alike want authentic mixes of flavors, and he says he's obliging. "As a menu item, bowls are really a vessel for creativity," he says. "The bowl concept can encompass any cuisine, any price point, any menu segment. Like a well-crafted sandwich or salad, a bowl provides a beautifully curated interplay of flavors, textures and even temperatures in every bite." A recent creation marries Latin and Asian flavors in dishes spiked with piri piri, harissa and adobo as well as wasabi, ponzu and Tsukune (a popular Japanese chicken dish). He has also creates fusions like ahi poke burritos, grilled teriyaki tacos with jalapeno slaw as well as fried sweet potato rice and poke breakfast bowls. "Poke in and of itself is delicious," he explains, "but when you translate the concept of Hawaiian-style dressed raw fish to a bowl, you really get something exciting." Seeing one of his creations in a store or on a restaurant menu is something R&D chefs never tire of, says Chef Sean Dwigans. As culinary manager of R&D at family-owned Reser's Fine Foods (resers.com), Beaverton, Ore., he was instrumental in the company's addition of a protein-packed egg salad and "retro-cool" pimento cheese to its American Classics line of refrigerated deli salads. He manages a culinary team of three other chefs, which recently updated recipes for the entire line to feature cleaner ingredients -- removing artificial colors, flavors and high-fructose corn syrup, while retaining the same flavors. "We develop all of our brands for retail, foodservice and clubstores, sourcing new ingredients and creating new products for our brand and private-label customers," Dwigans says. Roughly 30 percent of Reser’s business serves restaurants and foodservice. Dwigans listens to customer feedback to support product managers on project timelines. His group also assists manufacturing sites in scale-ups and plant trials of new products. It also custom develops menu items, tastes and critiques products and solves back-of-house product consistency issues for restaurants and other foodservice clients. "A lot of my research involves looking for grocery stores and restaurants during my travels. I get many ideas walking a store, finding out what regions of the country see as 'their food.'" He notes a great surge in dining options. "More convenience stores are upping their game to capture foodservice dollars. There’s a proliferation in the variety of dining offered, many being specialty-type restaurants that cater to certain dietary needs and lifestyles We're also seeing more dining in healthcare-related facilities that are cash-sale operations." "Fresh food is more critical than ever," he says. "Duplicating an [existing] product using clean ingredients can be a fun challenge." Using items such as red pepper flakes, Guajillo and Aji Amarillo chili powders, farro, lentils, avocado oil, gochujang and citrus varietals, he finds the seemingly simple food business has become more sophisticated and complex. "We've had to look outside of the old development 'toolbox' to new, more innovative, ingredients. The consumer has become king, both in retail and foodservice channels." Simpler, cleaner ingredients also is a priority at Deli Star Corp. (www.delistarinc.com), Fayetteville, Ill. "I spend time ensuring the transparency of ingredients is true to form," says Executive Chef Jared Case. "If a project calls for antibiotic-free, we will get there." The company opened an innovation research lab and restaurant test kitchen last year in St. Louis, where a team of chefs develops products and can work side-by-side with customers to create new protein solutions and explore ideas. Deli Star's portfolio of meats includes cooked, sliced, diced, shredded and pulled meat products. They appear as retail items in supermarkets and also go to sandwich- and salad-makers and foodservice operators. The main plant in Fayetteville produces 15 million lb. of meat per year. At the R&D center, Case works on menu development, leads culinary support and drives product development and custom menu creation with foodservice partners. He also collaborates with the manufacturing team and provides sales support for key customers. "Our R&D team develops quality products that fit our customers' needs," says Case. "I oversee all projects, from inception through production and completion. We work with a talented team of quality assurance and production managers to establish standards for both flavor and appearance. It’s a very exciting time for Deli Star. Customers are looking for home meal replacement and value-added products. We communicate constantly [with customers] on any given product in terms of new trends, to ensure it's the very best." To Gunn, a 14-year veteran at Schwan with experience in category management and retail prepared food development, the food industry is more interesting and dynamic than ever. "The variety of options is incredible. It seems everyone is raising the bar to remain competitive and relevant. Convenience stores are increasing the quality and variety of their offerings; schools, colleges and universities must compete with quick- and casual-dining restaurants; and white tablecloth chefs are venturing into the casual space. This is all being driven by savvier consumers with ever-rising expectations. "What truly amazes me is how responsive the industry has become," he adds. "What a great time to be a chef." More than a toque, their hats include sales, marketing, production and R&D.